How to watch Kaçak: Season 1 (2013) on Netflix Canada! Yes, Kaçak: Season 1 is now available on Canadian Netflix. It arrived for online streaming on March 8, 2019. We'll keep checking Netflix Canada for Kaçak: Season 1, and this page will be updated with any changes. A cop who killed a mobster's son and fled to a small town with a changed identity finds his quiet new life disrupted when he becomes a local hero. An ex-cop in hiding is distressed over a media circus focused on him. The mobsters looking for him are glad for it. Season 1 of Kaçak has 42 episodes. Because different Netflix countries have different availability for episodes, you'll need to check the episode listing below to see which are available in Canada. Teashop owner Ahmet stops a jewelry store robbery and is thrust into the spotlight as a hero, but an Istanbul crime family recognizes him as Serhat. Ertan, a son-in-law of the Topçuoğlu family, pays a visit to Serhat, but when the confrontation deteriorates, Serhat's son is caught in the crossfire. Nurgül can't forgive her husband's lies and reveals all she knows to the police before going to live with an aunt in Istanbul, leading to his arrest. Serhat escapes from police custody and follows his wife to Istanbul, where he finds former partner Dadayli and asks his help in avenging his son. Flashbacks reveal the truth about Serhat's life as a detective undercover with the Topçuoğlu and his friendship with İsmet Ali, head of the family. Recovering from his wounds, Serhat decides on a different strategy: Instead of killing İsmet Ali, he will make him suffer by dismantling his empire. Asked by her aunt to find a job, Nurgül is unable to find a position due to lack of experience, but İsmet Ali intervenes and orders Ertan to hire her. Serhat deviously pits boss Mustafa Çekçek against Ertan over stolen funds, forcing İsmet Ali to choose between a top officer and his own son-in-law. While trying to hold together her family and marriage to Ertan, Merve represents Burak when he's called to testify in the death of his girlfriend, Ece. Serhat and his gang obtain valuable information when they learn that Erol plans to get back into drug trafficking, knowing that İsmet Ali hates drugs. Serhat and his gang intercept the drugs and burn them in the harbor, then send İsmet Ali a recording of Feyyaz arranging the deal. When Ece's mother approaches İsmet Ali for justice in her daughter's death, the crime boss is incensed to learn that Burak was involved. With the cracks in the Topçuoğlu family's structure widening, Ertan kidnaps Nazmi. Serhat and the gang save Nazmi. 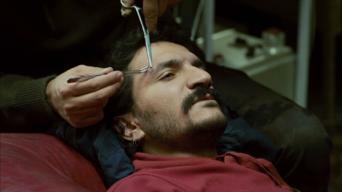 Injured during the fight, Ertan survives but hears a familiar voice and begins to wonder if Serhat is still alive. Plagued by nightmares and visions of Serhat, Ertan assumes that Nurgül would know if her husband was alive and tries to get information out of her. Serhat obtains surveillance tapes showing Burak entering her hotel on the night Ece died, and sends copies to the prosecutor and the Topçuoğlu family. When he begins to suspect that Serhat is not only alive but behind recent events that have damaged the family, Ertan digs up Serhat's grave. Merve goes to the police station to get Burak released, but despite fearing for his life, he refuses her assistance. To regain their reputation, the Topçuoğlu family attends a charity ball, but Serhat also attends and pledges a large donation in the name of İsmet Ali. Serhat blackmails Ertan with photographic evidence of his infidelity to Merve. To save his marriage, Ertan reveals his brother's hiding place. On the way to Nurgül's, Serhat hears some shocking news. Ertan's plans for a new shipment do not go smoothly. Increasingly fearful of Serhat's team, Bici raises his guard. Bici's other actions may provoke the top mafia boss. Ertan plans his next move against Topçuoğlu. Dadayli makes an important decision. An unexpected confrontation occurs. Topçuoğlu punishes Merve after her startling revelation. 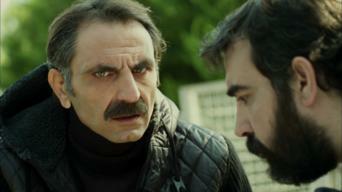 Serhat mysteriously disappears, and Ertan ensnares Nurgül in his scheme against Serhat. Topçuoğlu makes a tough decision about Merve. Devastated by Merve's news, Ertan lashes out. Serhat walks into a trap. Ertan's designs against Serhat succeed. As the clock ticks for Serhat, Merve entreats her father to spare his life. Serhat's condition worsens. Nurgül harbors growing suspicions about Ertan, and gives Nazmi and Dadayli clues that will lead them to him. Nurgül stands up to Ertan and learns the truth. Ertan draws Katerina into a new scheme linked to Rusyali (the Russian). 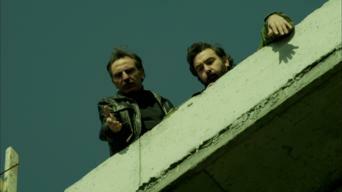 Serhat, Dadayli and Nazmi get closer to finding Ertan. Nurgül tries to bring Topçuoğlu to account over her suffering. Topçuoğlu's life is threatened. The hunt for Ertan goes awry. Serhat has an important meeting. 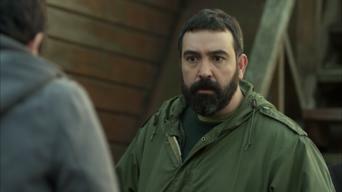 When Topçuoğlu learns of another death at the hands of Ertan, he enlists Burak's help in finding him. Nazmi's fate remains unclear. Fatih's life will never be the same. Topçuoğlu is exposed to great danger. Ertan finds new recruits for his master plan. Serhat, Dadayli and Nazmi find another lead to Ertan. When Topçuoğlu starts a new chapter in his life, a secret is revealed. Topçuoğlu frees an old ally from captivity. Everyone sees footage of Ertan's body washing ashore, but the hidden truths behind his death haunt them. Serhat, Fatih, Dadayli and Nazmi take the law into their own hands. Faysal returns to a family entirely different from the one he left. 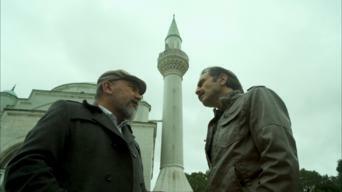 Serhat's team tries to solve the mystery behind Dehvani and Erol. Cemile and Muhsin are alarmed as Faysal inches toward the truth about Tülay. Faysal and Merve set out to find Tülay. 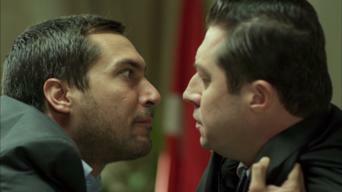 Serhat's team escalates tensions with Erol and Ertan, putting Katerina and Ertan's relationship to the test. Life turns against Ertan. Faysal confronts his daughter. 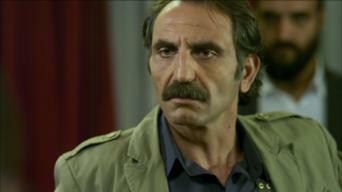 Serhat's involvement with Dehvani backfires. Serhat's team must deal with Şahingöz. Ertan and Erol cross paths. Faysal's past continues to haunt him. Serhat's team has a run-in with the Bonzai gang and others. Burak falls for Kel Sait's trap and puts Merve in danger. Tülay wrestles with major decisions after an emotional breakdown. Kel Sait digs his own grave. 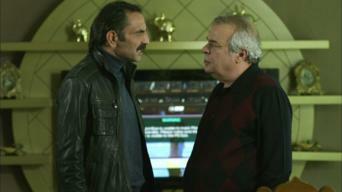 Ertan complicates Tülay and Faysal's relationship. Serhat struggles to save his son. Serhat is conflicted about starting anew with Umut and Merve. Ertan can no longer hide his feelings for Tülay, who is held back by tensions at home.